This little girl will be the new image for the logo for Fibres West. I am so very honoured and excited for one of my paintings to have been chosen. The owner of Penelope Fibre Arts is a great supporter of my art. 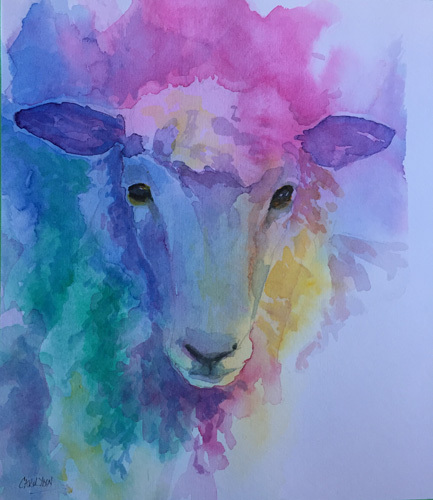 She will be carrying some of my fibre related art cards from paintings of sheep and alpaca in her new shop, at 1665 128th Street in Surrey BC. Stop by and see Brenda when you have the chance. If you love colour, knitting, spinning or weaving or things made by skillful hands, you will love her shop!! I am very thrilled to say that 4 of my paintings have been accepted into the Coast Collective’s BLOOM 2017 Art Competition and Show. 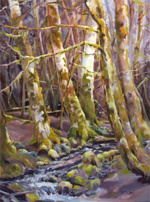 The Coast Collective is a prestigious art society in Victoria British Columbia. 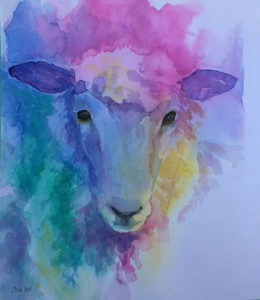 The opening for the show and sale is Saturday April 1 at 1 pm. Hope to see you there. 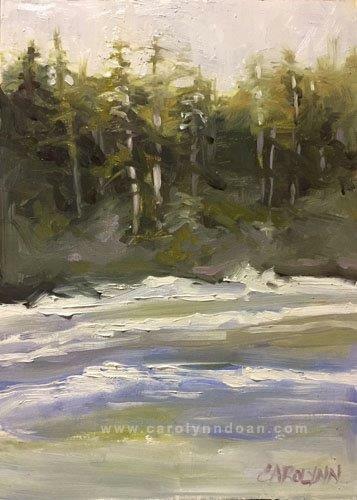 This is the first time that I have entered a show in Victoria and I am looking forward to meeting all of those who support the arts in the area. 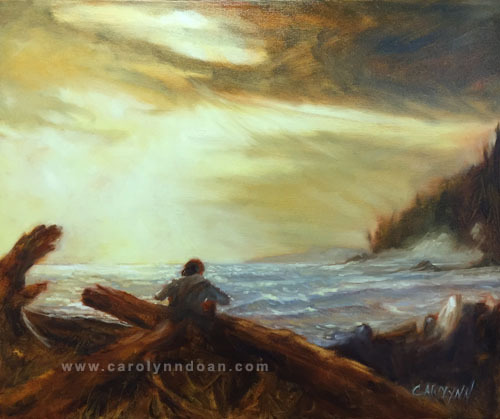 I am proud to say that I will once again be a participating artist in the A Breath Of Fresh Art – Show and Sale, on November 12 and 13 at Ocean Park Hall in White Rock, BC. The show will be running from 10 am until 4 pm both days!! Hope to see you there. I have some new works available that I am excited to show everyone. I am happy to announce that I will once again be taking part in the Peninsula Art Tour in Surrey!! The dates are Sept 24 and 25. I will be showing at Connie Glover’s studio space and will get the address for the studio asap, as well as the times. I wanted to post quickly so that you can save the date!!! I would like to thank everyone for the support shown to me around this show. It was shown with kind words, hugs and sales :). Much appreciated and continues to drive my passion for painting! I am very happy to announce that for the month of May I will be showing my work at a very special venue that is close to my heart. May 6 is the one year anniversary of two of my son’s micro brewery! It is also the month for mom’s and the birthday month of my third son….great reasons for celebration! 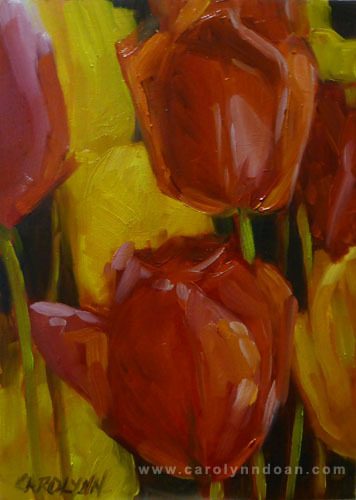 I will be showing a variety of paintings, some large and some of my smaller daily painting works. The address of the show venue is 1830 Powell St here in Vancouver BC if you would like to stop by and have a look. The brewery name is Doan’s Craft Brewing Company! As fortune would have it, I will be extending my show at Doan’s Craft Brewing Company until June 12. 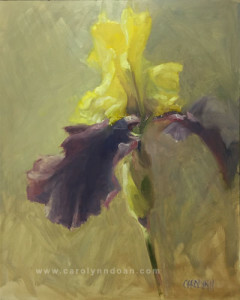 Thank you to all who have come by to see my work, especially my small, daily paintings. It is so much fun to be able to show them ‘unbound’ as it were. “Leaving the Scene” has been accepted into the Federation of Canadian Artists Art Gallery, “Small, smaller and smallest” running from November 15 – December 8, 2013. ‘Meet the Hubbards’ was accepted into the Autumn Salon at the Federation of Canadian Artists Art Gallery, running from Sept 3-15, 2013. ‘Three is Company’ was accepted into the Autumn Salon at the Federation of Canadian Artists Art Gallery, running from Sept 3-15, 2013. ‘Three is Company’ won second place. ‘Cloud Study’ was accepted into the Federation of Canadian Artists Juried Show in the ‘Works on Paper’ category and that it won the Award of Excellence. 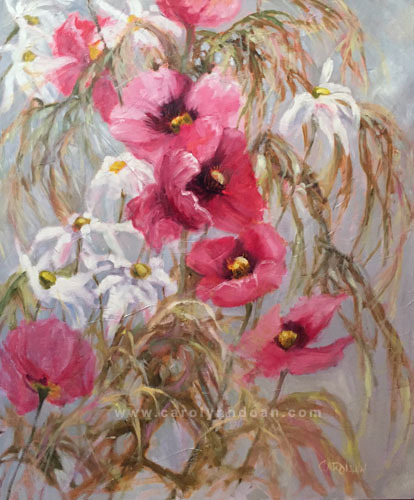 Growing Old – Oil – 18″ x 24″ was accepted into the Federation of Canadian Artists Juried Show and won a place in the Landscapes Juried Competition. Lucky Number 13 – oil on canvas -13.9” x 12″ was accepted to the FCA, juried show titled Small, Smaller and Smallest, which ran Nov 13-Dec 2, 2012. Cast Shadow – Violet – oil on canvas – 9” x 12” was accepted to the FCA, juried show titled Small, Smaller and Smallest, which ran Nov 13-Dec 2, 2012. 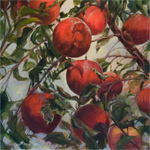 Donald’s Apples – Oil – 24″ x 24″ has been accepted for the FCA Autumn Salon. Carolynn is excited to announce that one of her paintings, Fruits of Our Labour II – Acrylic – 16″ x 20″ , has won the Award of Excellence in the Federation of Canadian Artists Still Life Competition. Carolynn has recently won 3rd place in the Painting-Works on Canvas category in the Surrey Arts 2012 Juried Show.